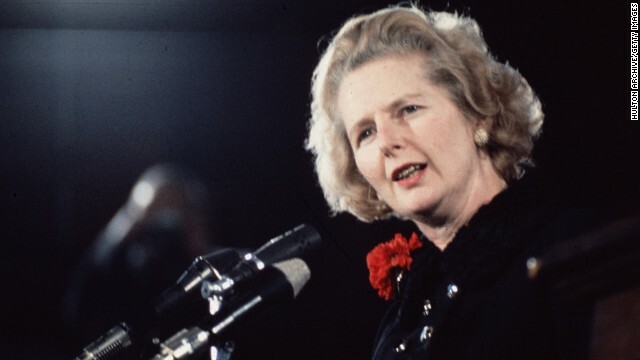 On the heels of Monday's passing of Margaret Thatcher, this evening "Piers Morgan Live" will remember the former British Prime Minister, reviewing the life and legacy of the woman nicknamed "Iron Lady" for her tough-minded approach to politics and leadership alike. Thatcher lived off 4hrs sleep, never read the papers, drank a LOT of whiskey and liked poking men (incl me!) in the chest with bony fingers. Staying with foreign coverage, tonight program will also touch upon the latest developments in "the tension-filled Korean Peninsula," where talks of nuclear testing have resulted in worldwide concern worldwide. Joining the program from Washington, D.C., Richard Haass will use his knowledge as the president of the Council on Foreigh Affair to place recent events into political and historical context. Tune in this evening at 9 as Morgan and his live guests touch upon the day's most-critical and polarizing stories, extending tonight's coverage to Europe and Asia. When she was in power, Piers, you were a pipsqueak and needed some poking, now you have some gravitas. As far as reading the papers, why would reading the papers have made a difference for her? Presumably she had access to better information than the papers could print and after all she was making the news. Reblogged this on A Dream of a Better World. She may have been the only female prime minister in your country piers but she was not the only female prime minister in the world. kim campbell was a female prime minister in Canada from june to november 1993. RIP Maggie. You were a great Brit. What we have left is a spineless, whining Piers Morgan. America.". She was an icon and a role model for women.